Yesterday saw the first California election under the new open primary system enacted in 2010. Thanks to Proposition 14, all candidates running for Congress, the state legislature, and other public offices now compete in a non-partisan open primary—as in, whether your candidate is in the GOP or the Green party, they’re all running the same race (pun intended). As a result, only the top two votegetters, be they in different parties or the same, will partake in a runoff election this November. Here are some results: the Democratic and Republican presidential candidates are Barack Obama and Mitt Romney, respectively (no shocker there). 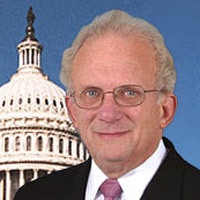 In regards to the House, the majority of the state and particularly Los Angeles County has remained blue: Maxine Waters (D) and Bob Flores (D) will run for District 43, Brad Sherman (D) and Howard Berman (D, pictured above) will run for District 30, incumbent Karen Bass (D) will continue to represent District 37, Janice Hahn (D) and Laura Richardson (D) will battle it out over district 44, Lucille Roybal-Allard (D) and David Sanchez (D) will be running for district 40. And those are just a few of the battle royals you can expect this fall. For the Californians who prefer to see red there were some victories as well. Democrats were unable to secure a strong candidate in Rep. Gary Miller’s (R.) swing district, meaning he will be in a runoff election with Sen. Bob Dutton (R) come November. David Valadao (R) looks like a strong favorite for the swing-y 21st district after taking 57 percent of the vote, and Tony Strickland (R) led the way with 44 percent of the vote in the open 26th district. All runoff elections will take place (along with the 2012 presidential election) on Tuesday, November 6. How Hot are L.A.’s Hot Wings?